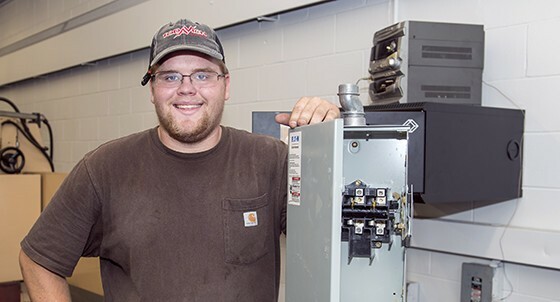 Bemidji native Russell Mason feels prepared to work as a construction electrician apprentice once he’s graduated from Northwest Technical College. When you choose a career in electrical construction and maintenance, the power to succeed is in your hands. Construction electricity is where you’ll learn to build, install, maintain and repair electrical systems that provide heat, light and/or power to residential, commercial and industrial structures. You will also venture into green energy technologies and sustainable residential electricity so you’re prepared to work in emerging energy careers. 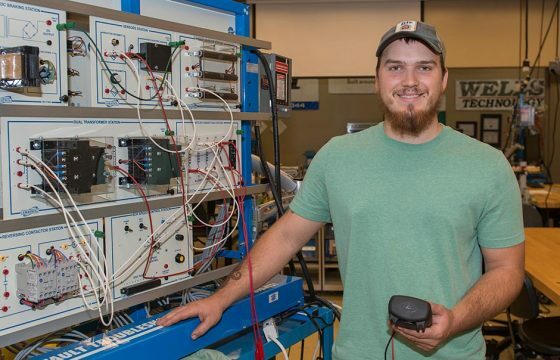 As a graduate of our Electrical Construction & Maintenance program, you will enter the workforce as a construction electrician apprentice and you’ll be equipped to work toward a journeyman or master electrician’s license. The construction electricity diploma opens a wide range of career opportunities for you, depending on your interests and skill level. Related field advancement options include sales, maintenance, low voltage alarm services, data cabling and management. Read this printable flyer to learn more about the opportunities that await. 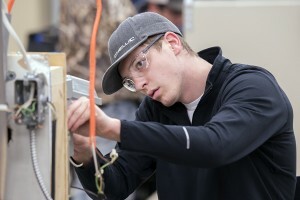 Find specific information about electrician careers.